Jason Molle, a representative for Paradise Palm management team giving remarks at the Paradise Palm Resort Groundbreaking Ceremony on Monday Dec 15, 2014 at Colquhoun’s Estate. 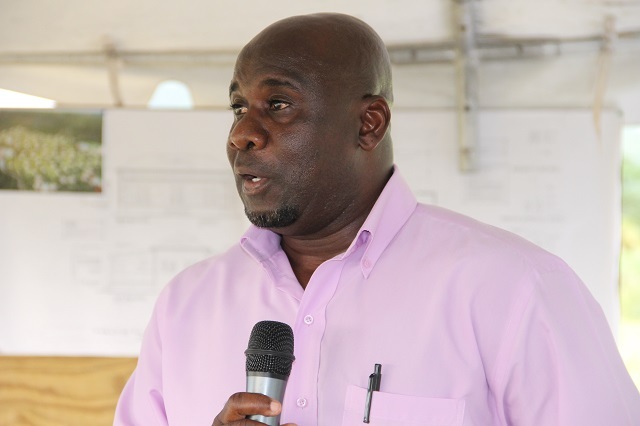 NIA CHARLESTOWN NEVIS (December 24, 2014) –The Tourism Ministry continues to thrust forward with more developments underway to grow the tourism industry on Nevis. 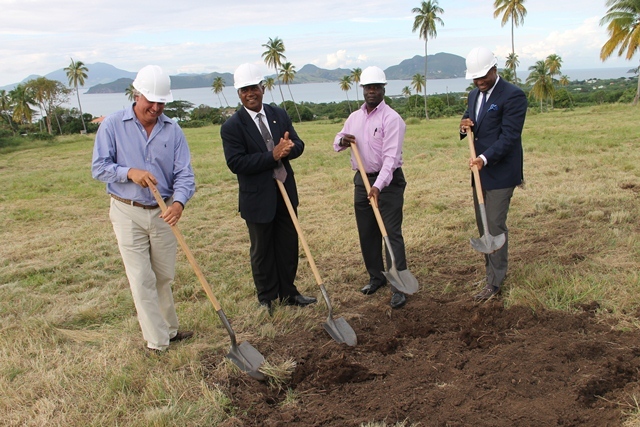 Groundbreaking for the commencement of Paradise Palms Resort took place on Monday Dec 15, 2014 at Colquhoun’s Estate. 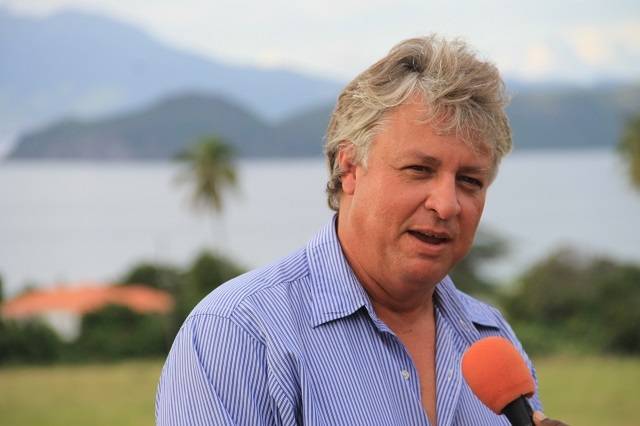 Jason Molle, a representative for Paradise Palm management team gave remarks about the venture and stated how the development would affect the economy on Nevis. “Our goal is to hire local across all sectors and levels of development in the build out and ongoing running of the resort. This will create numerous Nevisian jobs. We believe that this makes business sense the local talent exist, appreciates the environment and most importantly is committed long term. We will only bring foreign trainers and supporting staff when necessary, he said. 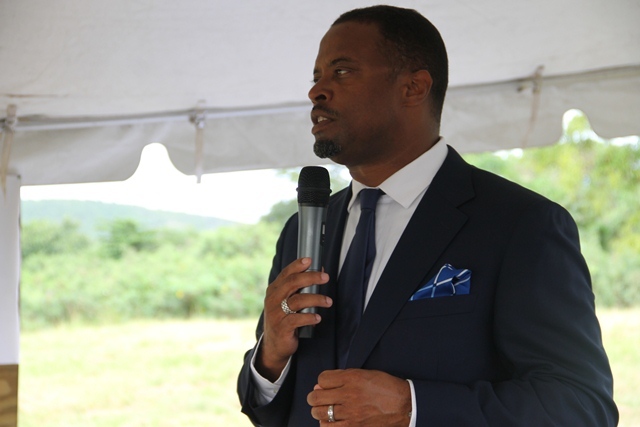 He also stated that the development will provide Nevis with a unique product that will drive tourist arrivals, which would have an impact across all sectors of the island’s economy for many years to come. He also went on to say that his company will remain committed to developing the resort well into the future. Premier of Nevis Hon. Vance Amory who was also at the ceremony registered his delight to see this project in progress. 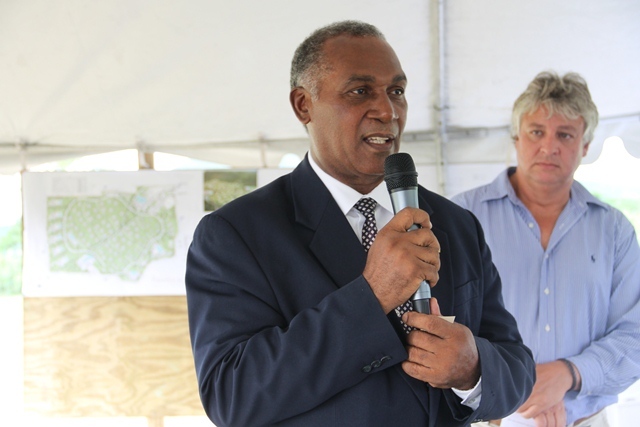 “I am happy that today… we are here to see a new thing beginning in Nevis because the type of project, the type of property which you are speaking of clearly has some uniqueness about it,” he said. Minister of Tourism Hon. Mark Brantley expressed how important the development was to the promotion of tourism. Hon. Alexis Jeffers was also on hand to witness the groundbreaking. When he spoke, he reiterated the government’s support for the project and added that the administration looked forward to the opening day sometime in 2015. Paradise Palms will be a 218 room full service resort with amenities including restaurant, spas and sports facilities.